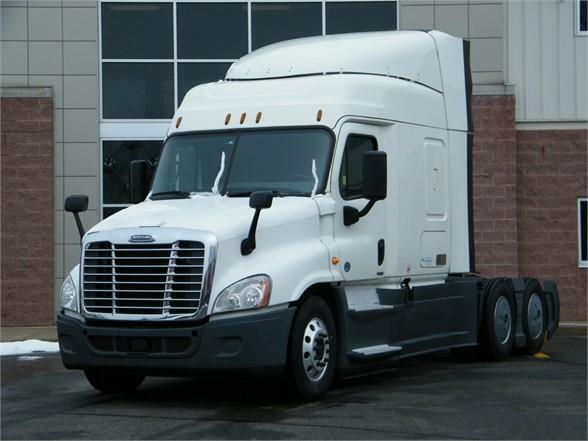 2015 Cascadia- NEW VIRGIN RUBBER ALL AROUND, LIKE NEW BRAKES, BUNK HEATER and will come with a FACTORY 60 days Buyers Assurance Program on the Air Compressor, AC, Alternator, Brake Drums, Clutch, DPF, EGR valve & Cooler, Fan Clutch and Hub, Starter, Turbo, Radiator and much more plus a FREE FACTORY 1yr/100k mile warranty on the engine, transmission and rear diffs PLUS REMAINING EW3 FACTORY WARRANTY UNTIL 10-4-2019 OR 500K MILES WHICHEVER COMES FIRST. We will also include a full detail, service and DOT inspection. .